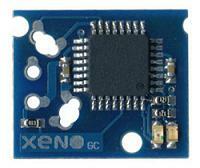 Xeno GC is a low cost easy solder modchip for the Nintendo GameCube. This chip has a unique hardware design which directly interfaces with the serial debugport on the laser unit. 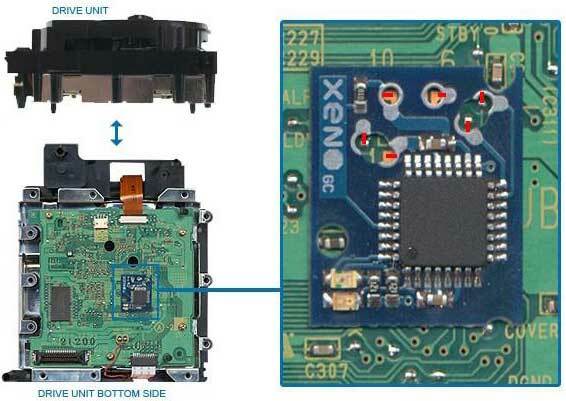 The XenoGC features two status LEDs to indicate correct function. The red LED is active when the drive resets and the chip is doing its job. Once the drive has been patched successfully, the green LED will light up. Check your install if you only get the red LED, or it doesnt light up at all. Ok just got the modchip installed, The points are very small and the modchips PCB is a little thick (which is good, and bad) It makes getting to those tiny points really tough without bridging neighboring points. I ended up using a wired install using 30awg solid kynar wire from radioshack. Use this image to help. Modchip works fine, haven't had any issues so far. A wireless install should work fine, but i found using wires to be safer to avoid bridging. Got the "generic" (knockoff) XEN8 chip, not the real XENO chip. Shipping to Florida took a long time. I ordered on 9/18, order received 10/12. Don't expect the authentic chip from this site and be prepared to wait.